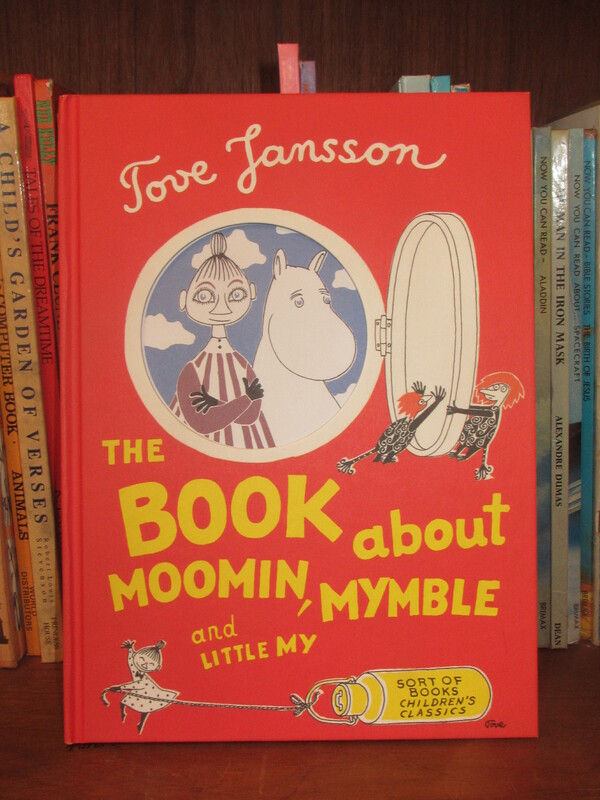 Reading: The Book about Moomin, Mymble and Little My, Written and Illustrated by Tove Jansson, English version by Sophie Hannah (Sort of Books, 2007). I have a habit of buying books for the children of friends and family to give as birthday gifts, and then finding I am unable to part with them, I go out and get them some lego instead. This is one of those books. This stash stays hidden in drawers masquerading as future presents. Analyse that, Freudians. 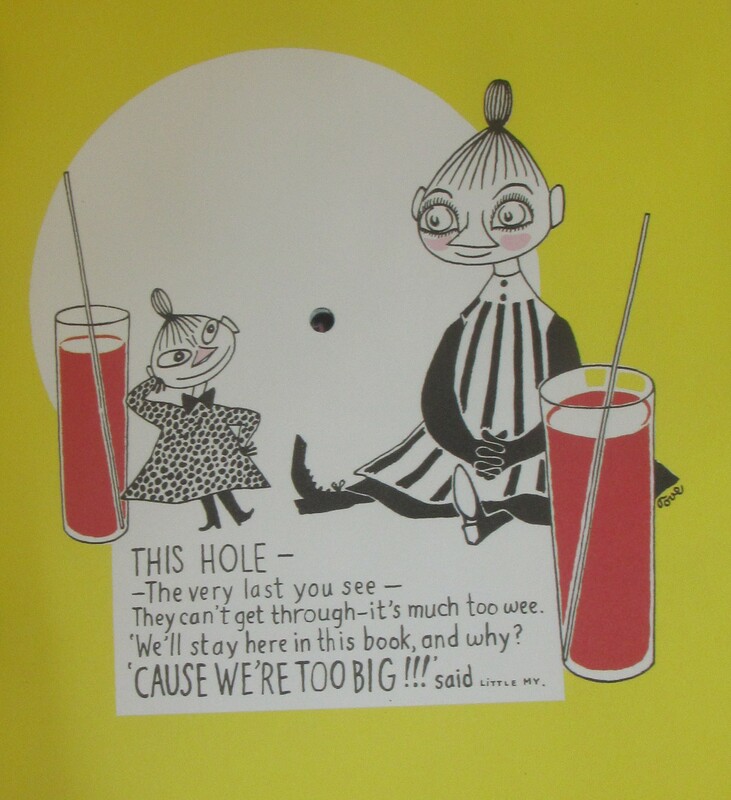 This book, first printed in 1952, is full of inventiveness: cutouts that hint at what is over on the next page, decorative handwritten text, and an invitation by the author to draw your own fillyjonk. The story is of a brave little Moomintroll, on his way home through the forest, caves, and a vacuum cleaner, all the time carrying milk for mother. 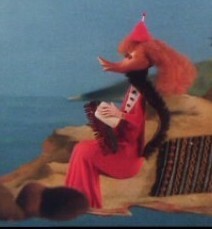 He meets Mymble and helps her search for her cheeky sister, Little My. How does it end? Go,on guess. Your photo looking through the book reminds me of a young bloke I used to travel into town with who used to have newspaper with the middle of the newspaper cut out. After we travelled awhile he would open up the paper and stare at whoever was sitting opposite. It was very intimidationg and threatening. Most people looked anywhere else but the paper. He thought it was a great hoot. Small things amuse small minds. You are a terrific resource of books for those with young children to care for to buy or borrow from their friendly library. “Small minds”, what are you saying? 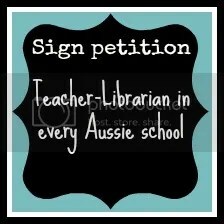 Thanks for your encouragement, I credit you and mum for my lifelong interest in reading and libraries. Moomin mania, to my knowledge, has not reached Australia yet. I can not understand why. Only a matter of time. I checked the BANK website, they do seem to have sold out. I have a similar pair from Next, almost as cute and better quality.